Hostal Arriaza, Madryt, Hiszpania : Rezerwuj teraz! 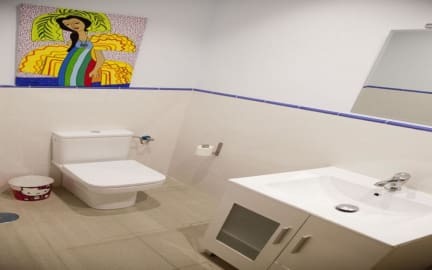 It offers private rooms, free WiFi, TV. 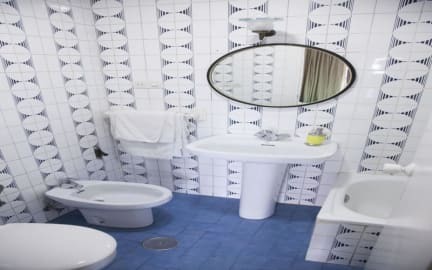 All rooms are decorated in warm colours feature large windows very clearly, private bathroom with shower, bed linen, towels, fan, heating.Tourist information service is provided. Madrid Cathedral is 100 meters, the Plaza Spain and Gran Vía are 3 minutes walk. Plaza Mayor and Puerta del Sol are a 15-minute walk. 100 meters away from the pretty Debod Temple and Plaza station Spain meter.